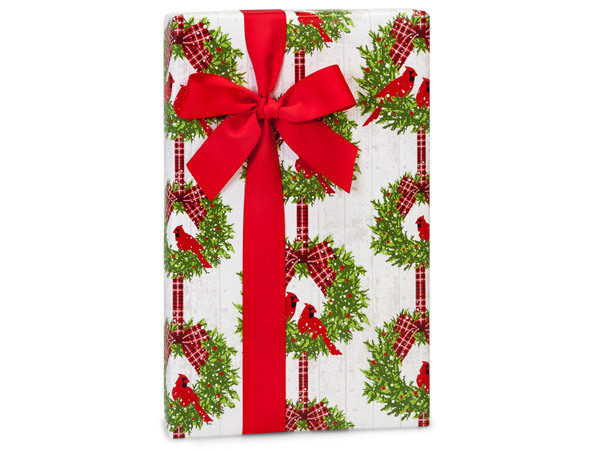 Christmas Plaid Cardinal 24" x 417' gift wrap has red cardinals perched on a holly wreath. Red plaid ribbon accents this beautiful holiday design. Green Way ® Eco-Friendly Packaging gift wraps are printed on minimium 40% recycled papers or papers sourced from well managed forests. Made in the USA.